Colleague Johan asked whether someone could knock up a script which exports all text layers from a Photoshop document to a text file (viz. a PSD2TXT tool/script), enabling one to slice even faster than he already can. Last week I released the first version of the script (v 1.2), now it’s time for an update. UPD: Base rewrite, now gets all layers (sets & regular ones) in one variable. ADD: Layer Path & Layer Name in export. ADD: Cycle Multiple Files when more than one file is open (user can still choose to only parse the current document though). 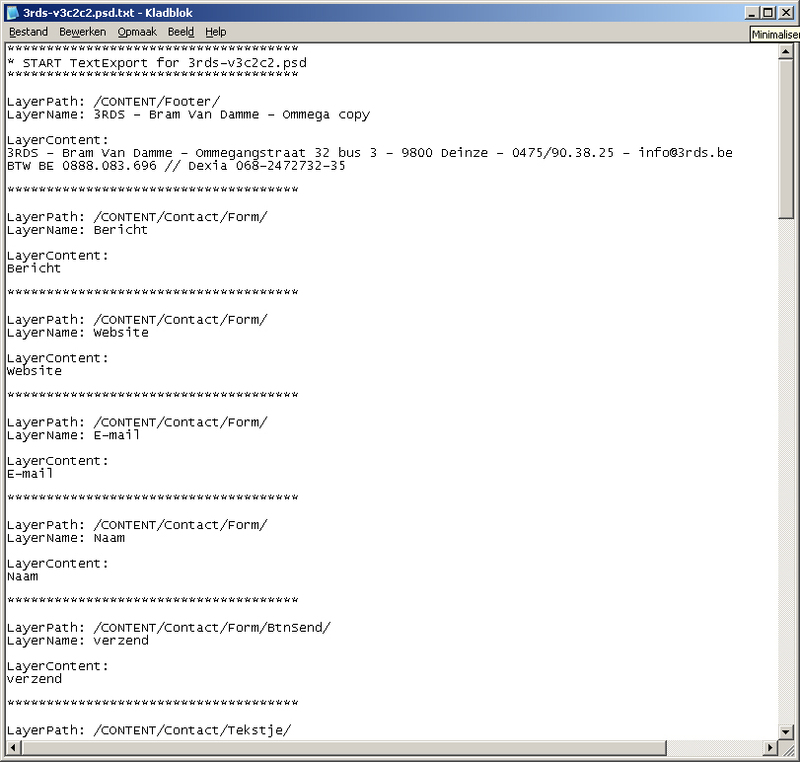 PS_BRAMUS.TextExport is outdated and has been replaced with PS_BRAMUS.TextConvert which does both import and export! Now, when having a file opened, go to File > Scripts and select PS_BRAMUS.TextExport.1.3 from the list. Three settings in PS_BRAMUS.TextExport can be configured, all to be found in the .jsx file itself. If you don’t want the exported file to be openend after the export has run, set openFile to false. If set to true (default), the output file will automatically be opened by your default text editor. In the export file, each line is separated by a separator string. Change this one to use one you like (defaults to *************************************). When running PS_BRAMUS.TextExport on multiple files, the useDialog & openFile parameters will be overriden. All files will be saved as nameofyourpsdfile.txt in your documents folder and only a notice that the files were saved will be shown. we probably need to get the word out a bit more, I think a lot of people could use this but don’t realize what a time saver this could be. I am writing a text exporter for PS, so I surfed web and found yours. the thing is….I need to get every character in a text string, and write each character out as ASCII Unicode hex to a text file. Guess i’m slow today, but when is this script helpful? I am trying to picture a scenario when you have so much text in a photoshop file that you could use this script, but i can’t get one made up in my head. I’ve been searching for this functionality for quite a while… with no luck. A coincidence I stumbled across this page. Do you have plans to create a text importer script? 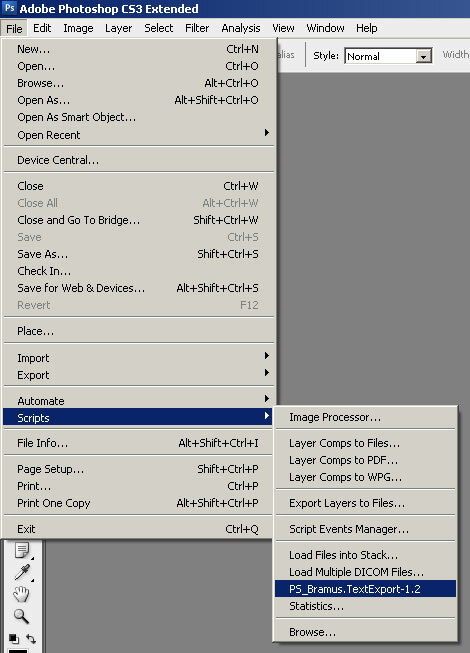 one that opens a text document into a Photoshop text layer. …The amount of text i’d need to bring in requires a batch process. I’m not seeing all the text outputted… but i did get an error about no having the correct fonts when the psd loaded… could that be the culprit? 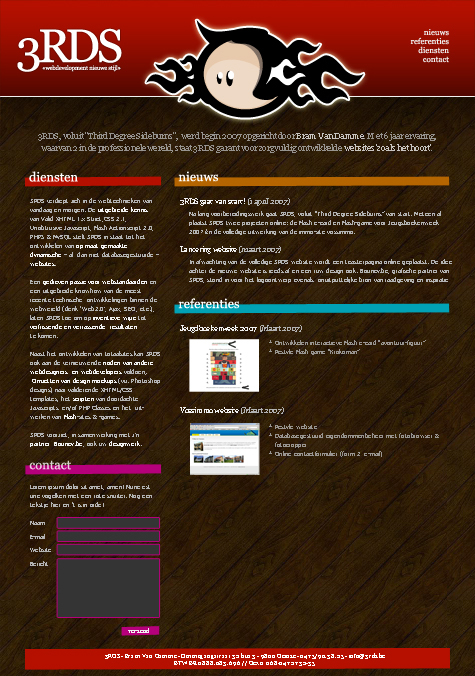 @Jeff: that’s possibile, but will look a bit cluttered as you’re inserting lots of text all in the same font/colour/etc. @Stoney: that could indeed be the problem. Will run some tests. Wow! I didn’t know that there is already a script like this and I am glad that this is offered for free. I have some PSD files with a bunch of text on it. I hope I can extract those texts through this script and if it can, I think it is a OCR better alternative. Doesn’t look like Photoshop 7 can use it. Can’t find a scripts folder, or that file format. Too bad, I have several text layers. This script would be extremely handy for extracting text when translating PSDs. However, I am looking for a scriptable version, i.e. something I can run from the command line. Any ideas? Even better, the script should drop in some ID for each string extracted, and then also be able to do a search and replace for the ID, to slot in the translated text automatically. @Garret: Scripts are supported starting from Photoshop CS or higher. Pingback: Bram.us » PS_BRAMUS.TextConvert: PSD2TXT and TXT2PSD for the masses! Very useful scipt. Thank you very much! I look forward for the feature that will import unicode text (for example Russian text). Now I can only see question marks after import. Just wanted to say thanks for great plugin! Thanks! You ROCK. Thanks for saving me about 4 hours. Karma points! Great for writing BLANK text files though! Pingback: Pepper C???????? | PSD????????? Also, how can I save these files next to the psd that they came from when batching, rather than my documents folder? I am pulling from multiple pads located in many different folders. Pingback: Gnomo.org 2004 – 2012 » Esportare un testo da Photoshop. but can we export all data in excel instead notepad ? I’m wondering if the opposite is possible? Like can I have a text file, and create a text layer for each line of text in the file? You are my favorite. I’ve used this so many times. I would surely like to check this script out, thanks for this. It would mean a great deal with the PSDs I handle everyday. I will post this on my FB page as well for people and fellow designers to be aware, you can also follow me @pixel_ramen in my twitter account. I love this, worked perfectly every time. One thing I would like to change (and been trying to sort out on my own) is how to remove all the extra stuff in the output. Please use https://www.bram.us/2008/10/30/ps_bramustextconvert-psd2txt-and-txt2psd-for-the-masses/ instead, it has UTF-8 support. sorry for answer, but maybe …. with your script, I can extract this layers on one .txt file to send this job to my friend for translation. He wright, after “content”, “Translate :”, and the sentence at the line after. and after, he send me this .txt file. So …. it’s possible to envisage one “replace” function on script ? i’m not bad developper, but …. no java. and no photoshop. and on the future, it’s not reusable competence. it’s for one private project : this illustration is for society game club. Hi, is it possible to extract the text from the top layer to the bottom layer. Currently the script runs from the bottom layer up. We receive files with many text layers and the artwork is always designed from top to bottom which affects the extracted text. A great script and any help is much appreciated.